This post is part of the “Getting Read For Resolutions Series.You can read the last post The 9 P’s To Form A Perfect Habit here and the whole series over the course of December here. 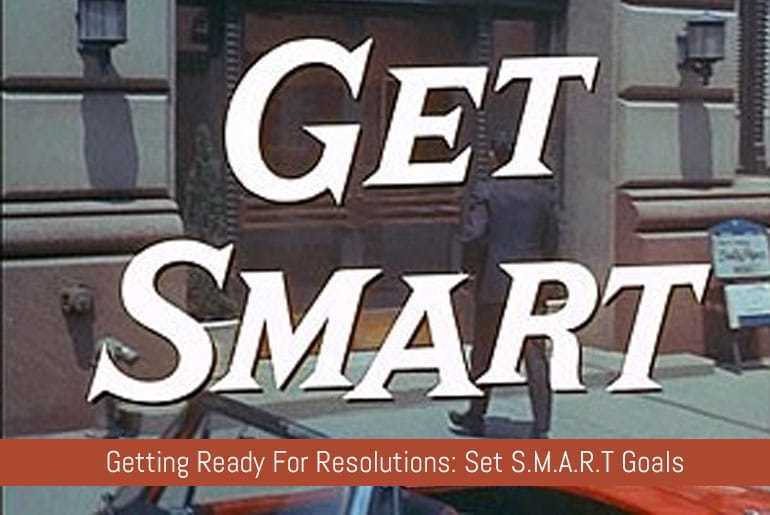 If you’ve been looking into productivity and goal setting in the run-up to starting your New Year’s resolutions then you may have come across the term “S.M.A.R.T” in terms of your goals. You may think that the S.M.A.R.T technique only applies to “work”projects (and I’ll be looking into that in the the New Year) but the technique can also be applied to habits, goals and New Year’s Resolutions too. As we looked at in the post about Forming Habits we need to have defined goals that we can track, can and want to achieve and have some form of definite outcome be it time-based or action based. In this post we’ll look into how the S.M.A.R.T system can work alongside our other goal setting techniques. Be exact about what you want to achieve. What do you want to accomplish? Why do you want to accomplish it? Do you need other people to help you or is it a solo goal? So you need a specific location (like a gym or pool) or can it be done anywhere? When and how will you know your goal has been completed? Define a set end-point whether it be time, weight lost, weight gained, calories counted, words read, words written or places visited, set an end-point based on your goal. Don’t set yourself a target like “Walk on Mars” unless you’re sure you can get into the Space Programme and book a place on the Mars flight in a few years time! Make sure that your goals and measurements are ones that you’re happy with and you can attain – not necessarily easily but with work and effort. There isn’t any point in setting a goal if it’s not going to benefit you – or someone around you – in any way. There has to be some form of pay-off for you to be invested in achieving your goal. The pay-off may be health related (feel better by quitting smoking, lose weight to be healthier), financially related (save a load of money by quitting smoking, save money by not eating so many take-aways), you name it – there’ll be a reason behind your goal so use that as a motivtor. As we’ve seen over the this series of posts as long as you have a goal in mind, can measure it and have a set outcome you can achieve almost anything. There are a few final points we’ll cover in this series so make sure you subscribe to my newsletter to get a round up of my weekly posts and exclusive access to my free downloads. Speaking of goals(!) I’ve achieved one of mine for 2016 which is to set up a shop selling some of my downloads that I develop. I hope you like my new offerings if you have any queries please Contact me. If you get this posts featured image reference – tweet me @FlipHeck with the name of the lead actor in the original series and I’ll pick a winner to get a Free 2016 weekly planner!